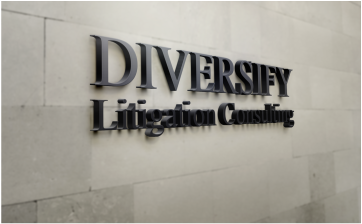 Diversify Litigation & Media Consulting (DLMC) was founded with the philosophy that excellent litigation services can be provided at cost effective rates to all clients. ​Leveraging various talents, disciplines and over 40 years of experience, our team brings a working set of principles and a model approach to our client's projects. We partner with your trial team to provide perspective, clarity and persuasive demonstrative evidence through graphics, consultation and trial/arbitration preparation. With our expert consultants and technology services, coupled with our ability to reach every market across the country, and numerous markets throughout the world. We are proud of our ability to offer personalized, dedicated service to all of our clients. This makes us a very unique and diverse firm, capable of meeting all of our clients litigation needs. ​﻿ When preparing for trial, we offer a variety of consultation and assistance options. Our experienced and knowledgeable consultants will assist you with all of your litigation consulting needs. Our singular goal is for you to present the the best case possible to achieve a favorable verdict. No matter how complex the matter or where the case may take us. We are with you from start to finish. Whether through charts, graphs, animation, video, etc.. Our graphics team will enhance, highlight, and illustrate key concepts, testimony and demonstrative evidence within your story. Our skilled and knowledgeable litigation support professionals possess vast experience coupled with an extraordinary skill set and are fully equipped with the latest, state of the art hardware and software tools to assist you with all of your Litigation / Trial Support needs without delay.